– High volume, low price (HVLP) chain operators continue to grow, making up the largest private segments in US and UK markets. – At the same time, specialist studios and boutiques with singular specialties such as cycling, small group training, boot camp, pilates, yoga and barre continue to see growth. – 1 in 5 fitness consumers in the US now have two or more fitness-related memberships. Changes in taste apart, economists would traditionally explain this away by arguing that in competitive, mature markets, pricing moves ever closer to marginal cost (the amount it actually costs to provide services) and price protection is achieved through differentiation, with niche players catering for smaller, ‘connoisseur’ segments. This is definitely something we’ve observed, but to ascribe these changes solely to the price sensitivity of the health and fitness consumer is to miss other important underlying drivers. What this analysis fails to take into account are the rapid proliferation of the hyper-local fitness sessions in parks, town halls and churches, for which there is no overarching data but where anyone can benefit from pilates, yoga, barre, HIIT and bootcamp offerings at a reasonable price. Similarly, those HVLP operators are now putting on ever-expanding class timetables. It looks like the price sensitive buyer is also a ‘connoisseur’! 1. Advancing preferences and the consumer’s love of choice. As people become more health conscious and increase both the time and percentage of disposable income they spend on fitness, it makes sense that they will want variety in their exercise methods, both in intensity and experience. This is a sample size of just one, but 10 years ago I went to the gym 3 times a week. I now go to Pilates, HIIT, spin and run twice a week – and this costs me £20 less a month to do so. My grandmother’s generation never went near exercise at a senior age, while my mum goes to Pilates twice a week and plays tennis regularly. I know my story is common. You don’t have to look very far to see this trend. With increasingly low barriers to enter the sector as an instructor, it’s easy for health and fitness consumers to find and book fitness that was previously unknown to them or out of their price range. It’s this segment that’s supercharging the drive for more choice and better fitness experiences. 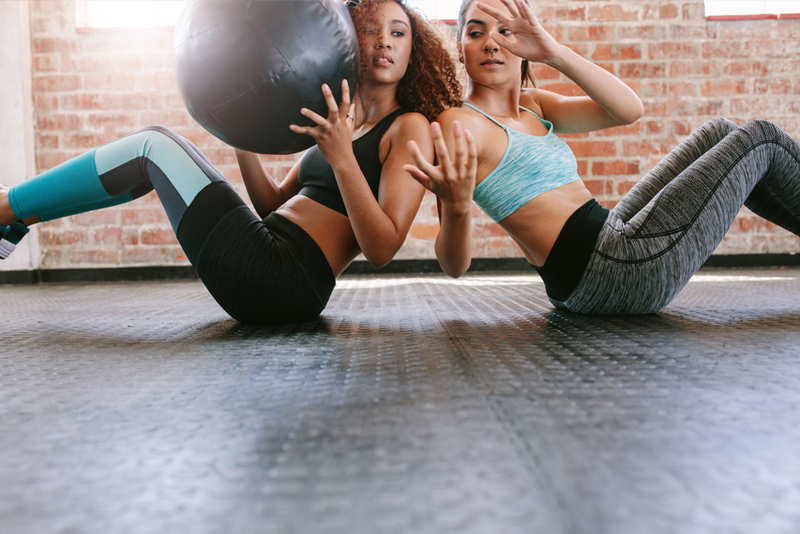 With the generational tendency to prefer experiences above material possessions, the variety of workout, social and community feeling of group exercise have become increasingly important factors in millenial buying decisions. Some fitness providers will be able to cater for these wider tastes with an ever-expanding array of classes and in-facility experiences. If you can deliver on this, fantastic. It can be difficult to manage when your business goes past a certain size and difficult to justify entailed cost on a smaller scale, but it is possible – and we see a number of operators doing it well. When you can’t do everything, focusing on where you can meet wider riser demand represents a real opportunity for growth. The willingness to spend on fitness is increasing, and if you can tap into the wider exponential growth then you have far more to benefit from than to lose by overstretching. This may well mean you don’t monopolize your customer’s fitness spend, but accepting that in lieu of greater wider earnings is a preferable alternative. Meeting this need may require more of an open, tailored, marketing approach and a drop-in, flexible, pricing option if you don’t already have one, but it also represents great opportunity – could you be the HIIT option for a regular pilates goer, or the spin option for the yoga fanatic? We see incredible retention across bookers and see this drive for choice as potential for industry earnings rather than threatening existing spend. As a group instructor or specialist operator, perhaps there are partnerships with other fitness providers you can look at to grow earnings together? Whether a gym, studio, group instructor or personal training business, tried and trusted marketing campaigns can be transformed with digital support. Here we examine 5 well-established campaigns and look at how digital can enhance your marketing returns. Ok, so we’ve started with a bit of an obvious one. It’s one thing getting your name out there, but if you don’t tell people what’s on when and make it easy to book, you’re not helping yourself (or your customers). Knowing that schedules change, we know that this process can be difficult. Gymcatch helps here by providing one digital source of truth for what’s on when. You can refer people to one web page, or one in-app ‘What’s On’ tab to give them a clear picture of what’s on when. With our unique ‘Appointment Windows’, you can also add one-to-one availability in a flexible way, enabling bookings within a wider time slot rather than having to give a rigid structure that may not work for existing clients or potential customers. This is a well known strategy, but it is indeed very likely that your best source for new customers are your existing. They’re already buying into your services, so it’s highly likely they know other people with similar backgrounds who would also be interested in what you have to offer. The solution here is two-fold. Firstly, keep the referral program front and centre. This can be done easily with posters, emails and verbal reminders. None of this is ‘in your face’ marketing, and it doesn’t put your customers under undue pressure. The second key is to make sure referrals are easy. The best way to do this is to make the referral personally and contextually relevant. We achieve this within Gymcatch with our prominent session ‘Share’ function, which customers see whilst browsing sessions but also at the completion of a booking. This makes it easy for a potential referee to share specific session details via email, SMS, WhatsApp, Facebook, Twitter etc. with a personalized message suggesting their friend gets in on the action. So you’ve secured your referral, but then how do you make it easy for that person to come for their first session? You don’t want to create any barriers or additional admin for them – any extra effort creates an opportunity for them to give up. Making the booking possible without the customer having to put much effort in is key. Every business will have their own experience and point of view regarding free trials. Some think one visit is enough, but we’ve seen as high as a five-session free pass to encourage an initial habit formation. It may also be that you want to limit which sessions the free pass can be used for. Whatever your strategy, you need to make it as easy as possible to book. With Gymcatch, you can create a free pass, assign specific sessions to the pass, and set a time limit on the pass itself. You’ll always have complete visibility of who’s redeemed the pass, so you can give them specific focus and give yourself the best possible chance of converting them into a customer. We’ve all read the well trodden marketing campaign targeting local business owners to set up a bespoke wellness programs, whether it’s a discounted membership or a value group/bundle discount for class or one-to-one training. Whilst certainly worth exploring, once established you’ve still got to find a nudge within the business to get them to take advantage of the scheme. One option is to target businesses where your current customers are working – this way you have an internal advocate ready to go. The downside here is there’s no guarantee the client in question is going to be comfortable with pushing your services internally. Another option is to try and link a group activity or cause to starting your sessions. Matching up a program to tie in with half marathons, ToughMudder (or similar) or a custom challenge you design with your wellness program is a great idea as it can create an initial buzz and motivation to sign up in the workplace, as well as a communal commitment to training sessions. Gymcatch can help to enable the program and create the training community. 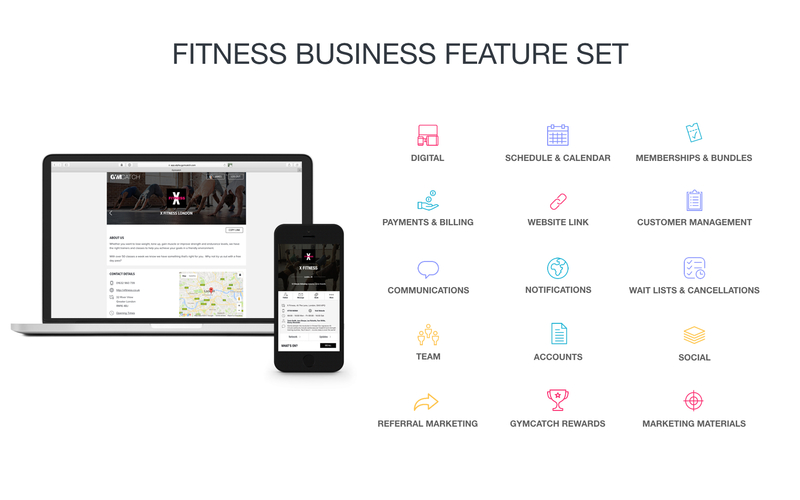 With Gymcatch’s custom packages, you can put the discounted program directly on sale to let employees find, book and pay for the package right away. Alternatively, if you don’t want it shown to your existing customers, you can take payments offline and gift the package to enable bookings into your specific corporate sessions. A well established marketing idea that applies just as well to gyms, studios, group and personal training marketing is hosting your own event. Whether this is an anniversary or seasonal party, a BBQ, or anything else – an event is a great opportunity for customers to enjoy a little downtime with their fitness community and invite their friends to tag along, which means potential referrals and customers for you. This marketing idea neatly applies to all of 1-4 above. Making sure the event is published early and promoted regularly on your booking system is a no-brainer, as is seamlessly enabling any referrals that come out of it. The Gymcatch event share functionality lets business admins post to the Gymcatch Newsfeed (and to other social networks, as well as email and SMS) to continually promote events to the community. All posts include a push and email notification, so you’ll be able to grab your customer’s attention. We’re all for the traditional fitness marketing campaigns and ideas – they’re well known about for good reason. We just think that they can be optimized with the right technology, and we built Gymcatch to do just that. As we’ve been working on starting our own blog, we’ve been paying attention to fitness articles we’ve bookmarked. Here are three of the favourites we’ve read as we’ve been busy researching and writing. A comprehensive rundown of traditional fitness business models, their pros and cons and how to assess which is right for you – written by Sean Greeley. Whether you’re considering starting a fitness business or looking to add to or change your model, this is a great overview. This fitness article in The Entrepreneur highlights traits we see in many of our customers. It’s a good analysis of how to think about unit economics and what makes a viable business model. We love this fitness article, as it identifies the current consumer drivers of change in the health and fitness industry. Even though it’s now a couple of years old it’s on point. Millennials, with their focus on experiences, are having a real impact in driving class-based activity and increased potential industry earnings. We hope you enjoyed the above. We certainly did, and look forward to bringing you more business driven fitness articles in the upcoming months. In this blog post we look at creating a marketing strategy and the place of digital within the mix. The best investment you can make in marketing is in the time you spend planning it. Start off by being clear on what you want to achieve. Are you focusing on new customers? Increasing sales to existing customers? Retaining existing customers? If you are looking for new customers, who are you targeting? We’ll deal with retention in a follow-up piece, so let’s focus on new customers. Key questions here include: Who are your target customers? Where are they based? What are they interested in? How old are they and where do they spend their recreational time? What are their health and fitness goals? Are they seasonal or all-year round? The answer to these questions will likely be right in front of you: your existing client base. Find out what brought those people to you in the first place and not through the door of your competitor across town. There is no better insight into what will work best, it is immediately available and doesn’t cost a penny. This research will inform what content you create through the channels we discuss next. Depending on your services and target client, you may find that success stories, wider wellness education and other benefits work well. Our own research, indicates that simple communication of location, timing of service combined with some level of peer advocacy score well with motivated buyers. When thinking about channels in which to deliver your content, don’t forget traditional local marketing. With your target customer profile and messaging established, remember that location is the primary driver of fitness purchaser’s choice of provider. Coffee houses, school networks, business parks and other local small businesses can therefore be great places to leave material or partner to promote your services. If people do other things locally, it’s likely that they’d do their fitness locally. Focus on making it easy to discover you. Let the locals know you’re there. Marketing materials like cards and posters still work. When it comes to digital, for a small fitness business there can be many digital enablers and keeping them all active can be time consuming. We recommend that you focus on 3 to both ensure you don’t spread yourself too thinly but also to ensure you are constantly testing and iterating. We lean towards referral marketing tools, Google and Facebook as the areas to look at first. Referral marketing is powerful, cost-effective and often overlooked, and with 80% of internet traffic driven by Google and Facebook they are simply too important to ignore. There are two sides to this. You and your customers. Our own research and a big body of marketing work shows your existing customers are your very best source for new leads, so be sure to focus on them. Clearly you can email or text requests and materials they could share. This can be hard work and, at times, slightly awkward to ask for direct, so thinking about tools you can use (codes, introductory offers, referral schemes) and regularly refer back to in order to build awareness is a good idea. Asking for shares/tagging friends in Facebook posts can work wonders and cost you nothing. Other than our own tools (obviously! ), we like InviteReferrals and Ambassador as digital options to assist with this. Google ad spend can be expensive and really means you need a website. If looking at this, the first thing to do is to make sure your website has what it needs to convert. There is no point driving traffic to a site that doesn’t convert clicks into contact. Boost your Google results organically – better than having to pay for ads, is being found organically from search. The key to this is that it is a medium to long-term commitment. So many businesses start with good intentions but, after a couple of months of not seeing results, give up. Patience is key here: there is no magic bullet. This is a long-term commitment. Creating valuable content through blogs, linking via social and ensuring clients use your website regularly can naturally help you to move up the search rankings. Given location is the number one driver of service purchasing, focus on ensuring you rank well for fitness in your area. When your website was built (and on your admin console if you have a WordPress site) there should also have been initial SEO keywords used and, if you employ an agency, tweaked regularly. It’s worth checking that this has been done and finding out what they are and how they are being supplemented with your social media and blog posts. Free SEE plug ins, such as Yoast, can really help you with this too. Once you’ve created a Facebook Page, to do Facebook ads it used to be that you needed to get into Facebook Power Editor (requires Chrome browser). You’ll now see, however, that boosting posts or ads from your business page is possible. Setting up campaigns, audiences and ad sets in Power Editor is very easy and intuitive. The audience features is extremely powerful, with a ready ability to define a hyper-local audience with custom interests. Ensure you’re messaging on the ads is clear and that anyone clicking is really likely to want your service – you most likely don’t want to be paying for clicks that aren’t motivated buyers. You can test whether this is going to work for you with just a few £100 pounds of testing. If you don’t have access to a graphic designer to make the related images, online marketplaces like Fiverr and Upwork can be a good source of cost-effective resource but ensure you spend some time thinking about what you want the add to convey and research ads that work well, and test ideas with existing clients, so that you can provide a detailed brief. Sketch is a great, easy to use graphic design tool which you only need to pay for once if you don’t want the on-going updates. It’s one thing generating leads, but how are you converting them to paid customers? If you have the scale, can afford it, and have the digital know-how, using tools such as Infusionsoft, Pipedrive or Salesforce to create detailed sales funnels is a great way to nurture and convert leads. The reality is, most people don’t, nor want the cost. Making it easy for customers to learn more and buy is, however, something that is in your control. If you have a website or can create landing pages, ensure that you’re marketing, whether on or off line, is directing people to a place where there’s a logic to the information and a clear call to action – whether that be to fill in a contact form or make a booking. Don’t forget about the final stage too – giving the customer the convenience they experience when booking a taxi, restaurant or hotel is important in converting a sale, particularly a new one. This doesn’t necessarily mean you need an expensive website – simplicity and ease of use trumps form and there are now cost effective tools available to take bookings online and on mobile. Whatever marketing activity you run, it’s a good idea to keep a record of how many leads you generate, from where they came and how many convert to paying customers. Building a timeline of activities and checking back on your website analytics (if set-up) or direct enquiries via email can give you great insight into what works and what doesn’t. In terms of more complex digital tracking, setting up events and goals in Google Analytics as well as custom links in emails that can be tracked to linked pages is a good idea. If you have the know-how, Google Tag Manager is a great tool to use, enabling you to add Facebook and other pixels without having to constantly update your website. Tag Manager can enable your Facebook ads to be reported in your Google Analytics page, which helps in keeping things in one place (! ), but Facebook Power Editor will also give you good insight into how any Facebook campaigns are performing. Marketing needs patience, attention to detail and data. There is no magic bullet: your strategy and tactics will evolve over time as you learn what works and what doesn’t. The best marketing is often simple and focused but it’s easy to jump into the tactics before thinking through the why. Is it worth reviewing your strategy? What’s driving fitness consumers’ decision to buy your services? With increasing health and fitness options and improving delivery, consumers are increasingly treating fitness as a commodity. Of course, this is not to say you can’t differentiate in delivery and build strong relationships, but understanding how most buyers initially choose their fitness provider is important to maximizing lead generation. Our industry research revealed that location was the number one driver for choosing a fitness provider. Conducting a high level analysis of your local community, researching what times to provide sessions for customers, and making your details and schedule easily accessible will be key to your success. The second biggest driver in choosing a fitness service is peer recommendation. Ensuring you are enabling referrals (and making them easy to do) is important, both through incentives such as free sessions and with a booking system that readily allows for information to be shared. Health and fitness consumers now spend more time on mobile than desktop and are increasingly used to making bookings for services such as taxis, hotels, restaurants and takeaway through via mobile apps. This trend has been growing for some time, and it doesn’t look to be slowing down anytime soon. Providing the level of convenience consumers experience elsewhere in their lives is important. 27% of our survey participants said they struggle to find important information from their fitness provider, even when looking for it. 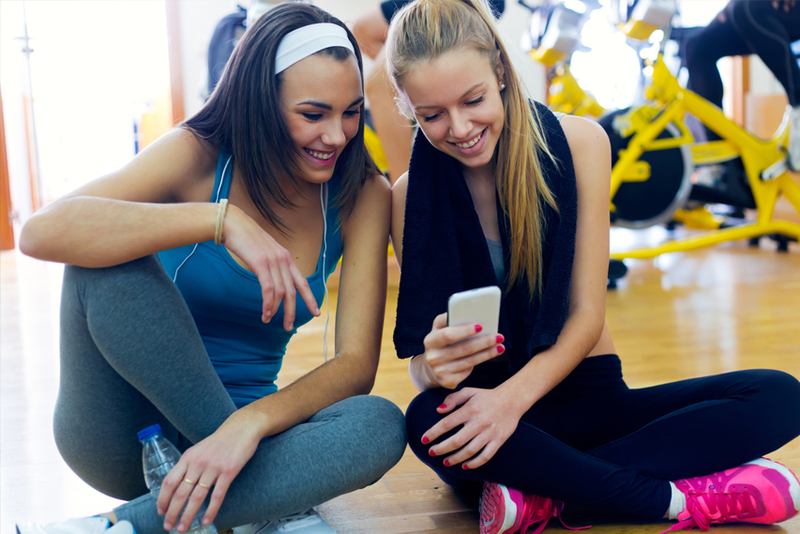 Offering and encouraging a way for customers to bring a friend along for a workout, and allowing them to easily refer sessions to friends is therefore important. Delivering non-fitness events for your community is also a good idea. Loyalty programs in retail, hospitality and your weekly grocery shop have proved that they can drive increased purchasing frequency and customer retention. The downside is that creating and managing schemes can be both expensive and time-consuming. Thinking laterally around how you can provide value through discounted packages is one approach. In those instances, try to clearly communicate the saving aspect against the pay-as-you-go alternative. While the up-front payments can be helpful to your cash flow, you don’t want to create a future expectation for deep discounting. Occasionally, gifting a free session to a loyal or infrequent customer can also have profound effects, with the unexpected nature of the gift generating a deeper psychological impact and overall better relationship between you and your customer. Location may or may not be in your power to change but what is for certain is that you have the power to influence criteria 2-5. Gymcatch is here to help.